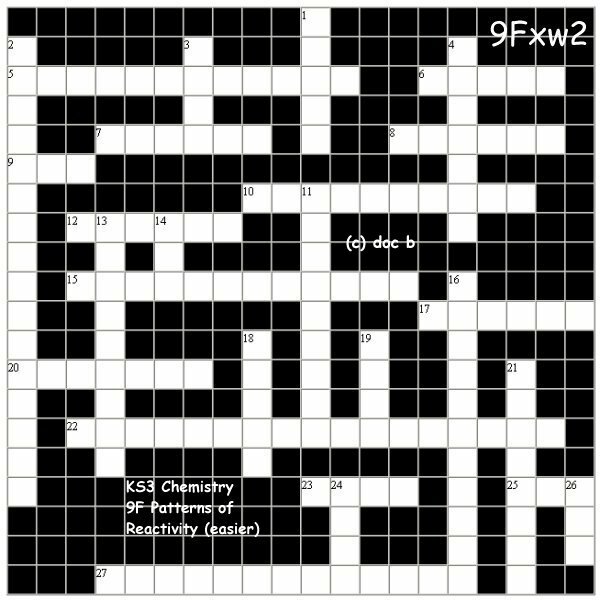 The smaller easier KS3 Science-Chemistry crossword on "PATTERNS of REACTIVITY"
4 Coolecting scrap iron and steel is to (7)? a useful metal. 18 Storing this in cans leads to corrosion unless the tin is coated! 19 When metals are (4)? in the 'series' they react fast! 26 When metals are (3)? in the reactivity series they are usually easier to extract.